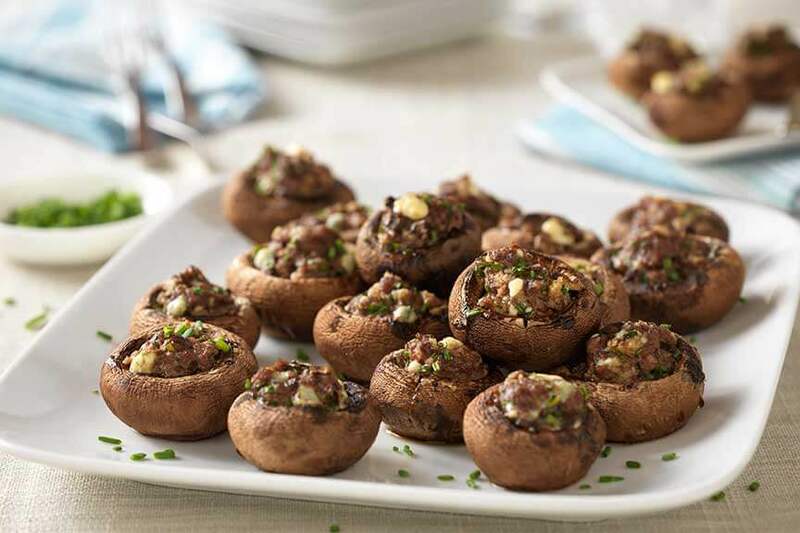 Mushroom caps are stuffed with a rich blend of ground Certified Hereford Beef, blue cheese and chives in this yummy recipe. Bake them until they are golden brown and bubbly for a great appetizer. Baking beef provides rich flavor and tender meat, while broiling beef provides a slightly charred taste with a crispy exterior and tender interior. Preheat oven to 375°F. Remove and reserve stems from mushrooms. Season mushroom caps with salt; set aside. Mince stems to yield 1/2 cup; discard remaining stems. Versatile, lean and economical. Ideal for recipes calling for browned, crumbled ground beef, such as chili, tacos and spaghetti sauce.